Gov. Andrew Cuomo has strongly opposed the GOP tax reform bill, singling out members of the state's congressional delegation who supported it. Governor Andrew Cuomo, who’s vowed to lead a campaign against the state’s Republican Congressional representatives in the 2018 elections, has spent the final weeks of 2017 feuding with them over their votes on the federal tax overhaul bill. 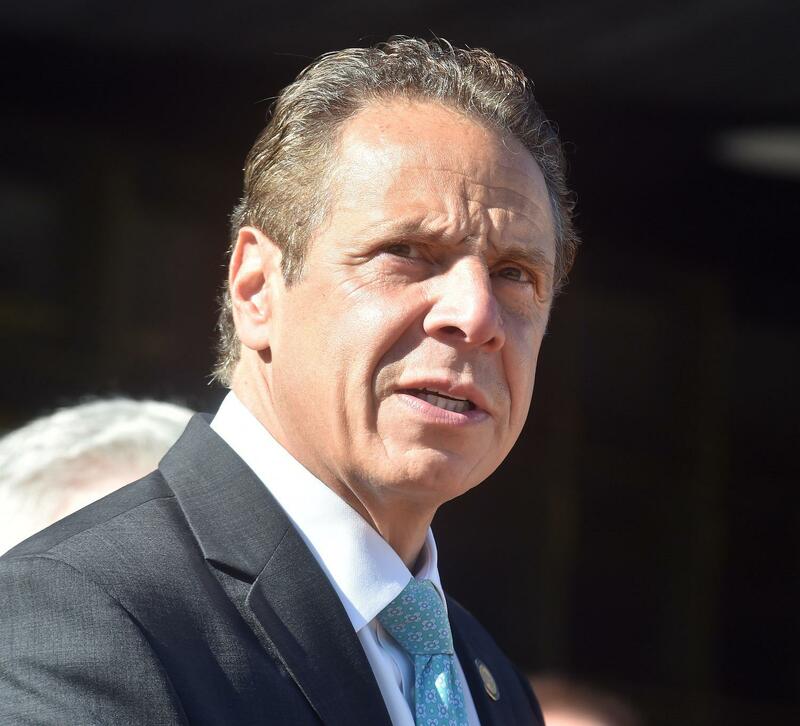 Cuomo has been saying for weeks that the overhaul would be “devastating” to New York’s finances, and to many of its taxpayers, and he’s called Republican house members who support the plan “traitors” and “Benedict Arnolds”. The governor is particularly incensed over the loss of the deduction for state and local taxes, which harms people in relatively high tax states like New York, New Jersey and California. In the hours leading up to the House vote, Cuomo stepped up his rhetoric. In response to a reporter’s question, he said Democrats, including New York Senators Chuck Schumer and Kirsten Gillibrand, would be “justified” if they threatened to shut down the government when the temporary spending measure runs out at the end of the week, if the tax bill passes. “If the government is about to do a terrible thing, sometimes a shutdown is preferable,” the governor said. The governors’ remarks drew a stinging rebuke from Western New York Congressman Chris Collins, whom Cuomo has often singled out for criticism. Collins, a supporter of the tax plan, called Cuomo a “Grinch” and said, in a statement, that many of his constituents will see $100 more in their monthly pay checks once the tax measure is passed. And he said the governors’ “thuggish” behavior would lead to seniors not getting their social security checks and the closure of federal parks. North Country Representative Elise Stefanik voted no on the bill, but she said in a statement that she blamed “Albany’s failed leadership and inability to rein in spending”, as the root of the high taxes in the state. Cuomo responded that the GOP Congresswoman has a problem with the “facts”, and that it’s local property taxes, not state income taxes, that are the problem. Cuomo said New York sends $48 billion more to the federal government then it gets back, and suggested that Stefanik work to get that money back for New Yorkers. Union leaders are also angry over the bill’s passage. The President of the state’s AFL-CIO, Mario Cilento, says union members “will not forget” the four New York Congressmen and women who voted for the bill; Collins , Congressmen Tom Reed and John Katko and Representative Claudia Tenney, calling it an act of “betrayal”. “We’re not a one issue movement,” said Cilento, who said the bill “deeply harms” working class men and women. “But it’s hard to see a scenario where we won’t be active in those districts”. Cuomo, as the voting was taking place, sent out a statement saying that voting yes for the tax overhaul is a “dereliction of duty”, and that the Congressmembers who voted yes “should be voted out of office” and replaced with “someone who actually represents the interest of their constituents”. Rep. John Katko: "I Know for a Fact That the Middle Class and Working Poor Will get a Tax Break"
Syracuse-area congressmember John Katko says he’s very happy with the 10-year, $1.5 trillion dollar tax reform bill approved by Congress, especially with what he was able to persuade leadership to restore. "For example, the private activity bonds, which are key to hospitals and others; the historic preservation tax credit; and of course, all the things they were trying to do to tax students, which was crazy to me." Utica-area Congressmember Claudia Tenney says it appears the final tax reform bill will include most of the provisions she’s fought for over the past few weeks. But that doesn’t mean she isn’t continuing to advocate for New York. Tenney knows the legislation continues to change, and so far she says, it’s been for the better. "There's a lot on it. We're not sure what the final bill is going to look like, but it's been improved."